Women from rural villages complain that the budget estimates for the next fiscal year will not support job creation in their areas. Demonetisation has forced nine million people to emigrate. The Finance Minister's statements are "misleading". 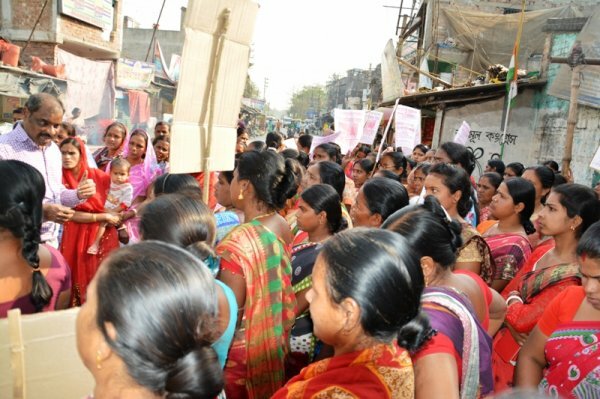 Kolkata (AsiaNews) – Hundreds of women are taking to the streets in West Bengal to protest against India’s Union budget for 2017-2018. According to the demonstrators, all from rural villages in the Indian state, the financial plan for the next fiscal year contains no incentives to create jobs in the areas where they live. 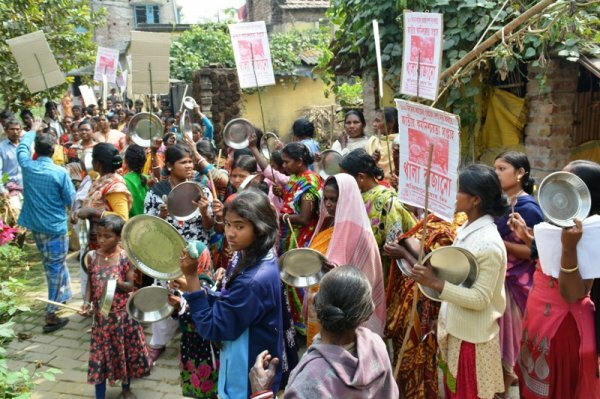 For this reason, their strike, which is set to last until Thursday, features protesters banging empty plates and other utensils, to symbolise hunger. 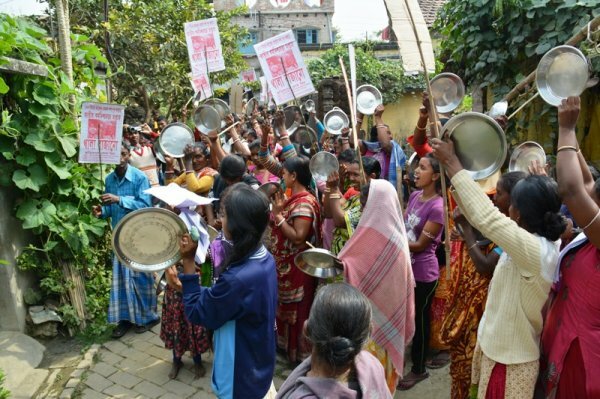 "Let the sound of our empty plates rock the villages and panchayat*,” said Sujata Chiti, one of the protest leaders. 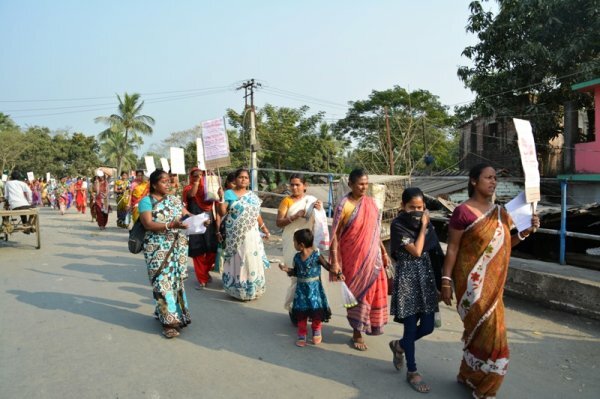 “Participants in this Abhiyan (strike) are marching in three districts [in Kolkata] and in many villages,” the Forum’s director, Fr Irudaya Jothi SJ, told AsiaNews. 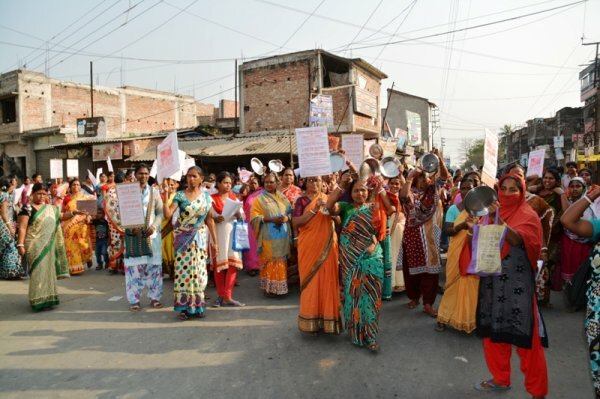 “They are demanding jobs right now in accordance with the Mahatma Gandhi National Rural Employment Guarantee Act**,” the Catholic activist explained. The law is “known to the public as the 100-day work scheme” because of the number of days of work guaranteed to rural families whose members offer themselves for unskilled jobs. 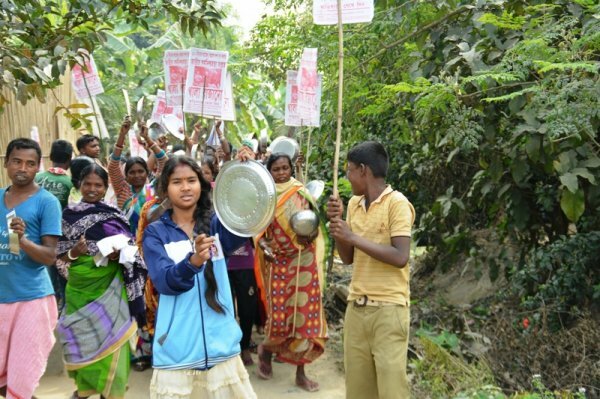 “People are hungry because they do not have work in remote villages in West Bengal and much depends on government programmes that are not applied in an appropriate manner," Fr Jothi SJ noted. For example, "people who worked two months ago have not yet received their wages." In recent months, the negative effects of demonetisation† have further "aggravated the situation of distress and unemployment". 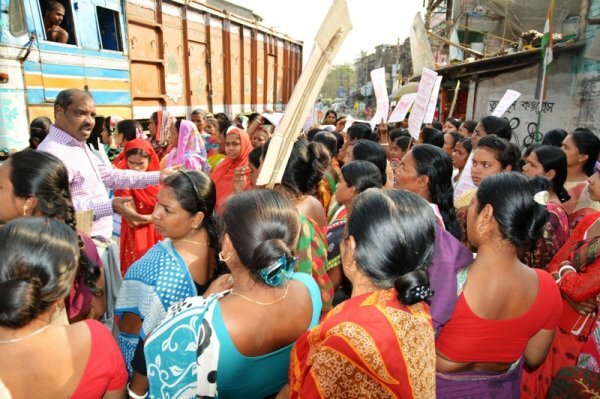 Women complain in particular that the claims of Finance Minister Arun Jaitley of support for rural areas, are "misleading”. He latter suggested that “This year's budget was presented as the having the highest allocation for rural areas, but this is not the case." In terms of figures, the 2016-2017 budget allocated more than 500 billion rupees (US$ 7.4 billion), but some 466 billion rupees (US$ 6.4 billion) have already been spent. Very little is left. "When you consider that more than nine million people have been forced to migrate in search of work and at least 25 per cent of them will not be employed in the near future, it becomes clear why the Rural Employment Guarantee Act is extremely needed." Women are also demonstrating in favour of food security. "The budget will not guarantee tens of thousands of poor migrants forced to leave the land because of the rupee ban." ** The Mahatma Gandhi National Rural Employment Guarantee Act is a law adopted in 2005 that guarantees the 'right to work'. † In November 2016, 500 and 1,000 rupee notes ceased to have legal tender.